If you’ve been to TAMO Bistro & Bar, you’ve likely seen him behind the bar - he’s been a team member at Seaport for 17 years. He’s extremely personable, talented and is adept at interacting with everyone - politicians, business travelers and frequent patrons alike. 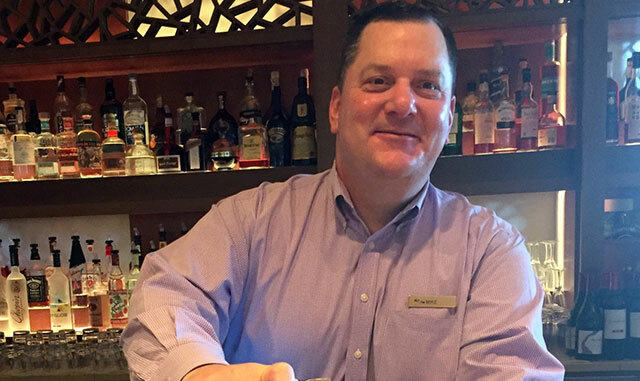 We’d like you to #sayhello to Mike, one of the mixologists in TAMO. Mike has made thousands of cocktails by his estimation but his favorite to make, and one of the most popular, is the TAMO martini. He has seen a great deal over the course of 17 years but says that the night that John McDermott stood atop the bar to sing God Bless America has to be one of the most memorable highlights. When he’s not taking care of TAMO’s guests, Mike is spending time with his family. A husband and father to two boys, 14 and 10, it’s “all about the kids” when he’s off. He’s often playing football or other sports with them or shuttling them to practices or games. When he has true down time, he likes to watch football or check on his fantasy team. Be sure to #sayhello to Mike the next time you visit!